Business groups have given a cautious welcome to the Budget, praising moves to cut red tape but remaining sceptical over whether reforms will be delivered. The chancellor announced plans to reduce the regulatory burden on businesses and cut the number of inspection bodies from 35 to nine. Sir Digby Jones of employers group the CBI said the Budget was "measured" and "applauded" deregulation measures. But some groups said they were worried about the state of public finances. Concern was expressed that businesses could be hit by tax increases in the next Budget. Recommendations set out by the government's Better Regulation Task Force and the Hampton review to cut the number of inspections on firms and reduce red tape were singled out for praise by most business groups. 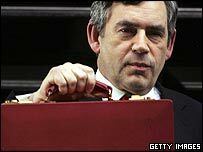 Gordon Brown said the measures should cut the number of business inspections by a third, or about a million fewer visits a year. However, he said firms who broke the rules would face tougher penalties. "I applaud the deregulation measures outlined," said CBI director general Sir Digby Jones. "This must be at the heart of the UK's battle to be competitive," he said, but noted "the delivery of change will be the acid test". Bill Midgley, president of the British Chambers of Commerce (BCC), said the moves on regulation were a "positive step forward". "Employers have increasingly been swamped by additional regulation, our latest figures have shown an extra £39bn of regulatory costs since 1998." Carol Undy, national chairman of the Federation of Small Businesses (FSB), welcomed the moves but sounded a note of caution. "Businesses have been promised bonfires of red tape in the past and they have never been ignited," she said. 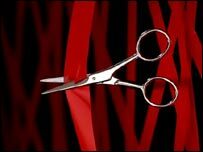 The Institute of Directors said the government should publish an annual review to show which regulations have been removed and by how much the cost of red tape has been cut. Stuart Fell, chairman of car component manufacturer West Bromwich Tool & Engineering, agreed that deeds now had to match the chancellor's words. "He's saying things that I agree with - however, it's all words," Mr Fell said. "The real issue is what will the action be." Concerns over the state of public finances were raised by the BCC. "The Budget has not addressed the serious concerns that public spending and borrowing remain too high," said Mr Midgley. "Looking at 2006 and beyond, businesses are very concerned that excessive spending and borrowing may necessitate damaging tax increases." Manufacturers' organisation the EEF said that businesses would be worried about what might be in the next Budget. "We remain concerned of the consequences for manufacturers should the chancellor need to increase business taxes to fund his expenditure after the election," said the EEF's Martin Temple. Measures to improve skill levels in the UK workforce were described as "a step in the right direction" by the CBI. They were also seen as a positive step by Phil Elliott, managing director of Booth Dispensers, a vending machine manufacturer in Lytham St Annes, but he said care needed to be taken over where the money went. "Employers should be able to buy into training schemes they trust and that provide the skills they require," he said. He also said he was disappointed about the deferral of the decision on the single European currency. "The indecision is the problem," he said. "We're either in or we're out, and the quicker we make a decision the better." The decision to ask the outgoing chief executive of British Airways, Rod Eddington, to become an adviser on transport policy received a cool response from the Freight Transport Association (FTA). Transport Secretary Alistair Darling said Mr Eddington would bring a "fresh eye" and "business expertise" to the issue. But FTA chief executive Richard Turner said it was "difficult to see what more Mr Eddington can bring to the party". "He seems to be being asked to look at what industry might need at some indeterminate time in the future," Mr Turner said. "However, the whole of UK industry is wrestling with the weaknesses of our transport system here and now. We need urgent and increased investment in our roads infrastructure with immediate effect." However, the FTA the decision to freeze duty on diesel at the current level of 47p per litre until 1 September. "Last year's freeze in fuel duty was welcome and appropriate as is this continuation," said FTA chief economist Simon Chapman.